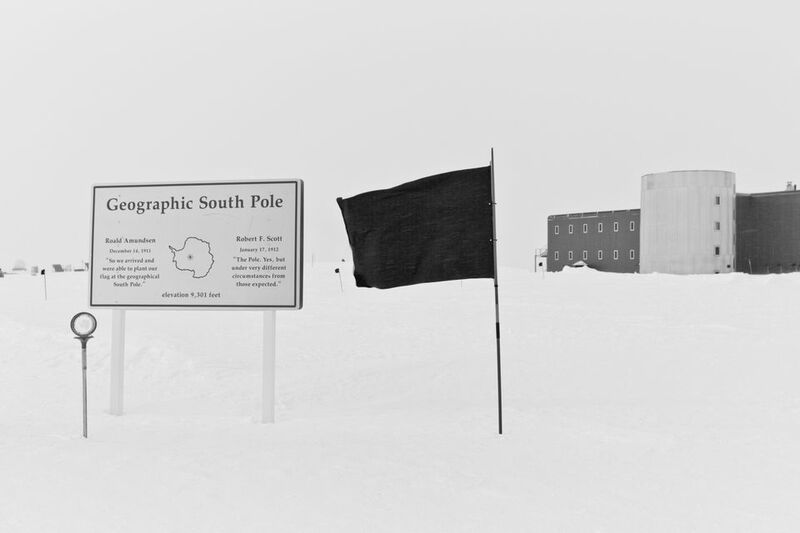 A new exhibition at Dundee Contemporary Arts shows how the artist Santiago Sierra ventured to the most extreme places on earth—the North and South Poles—where he planted a black flag, which he calls his “anarchist icon” (Black Flag, until 25 November). 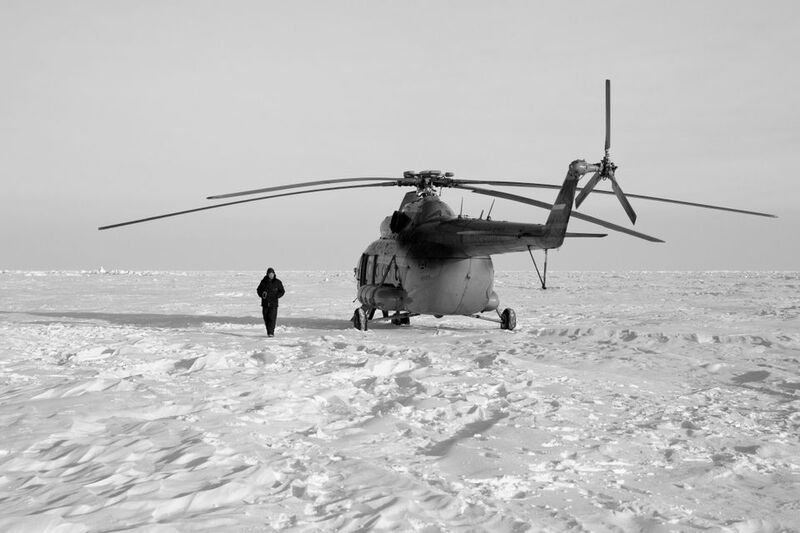 The photography and sound installation reflects how Sierra conceived and created the work in the hostile terrains. “It is certainly the most beautiful work I have ever done and very poetic,” Sierra tells The Art Newspaper. 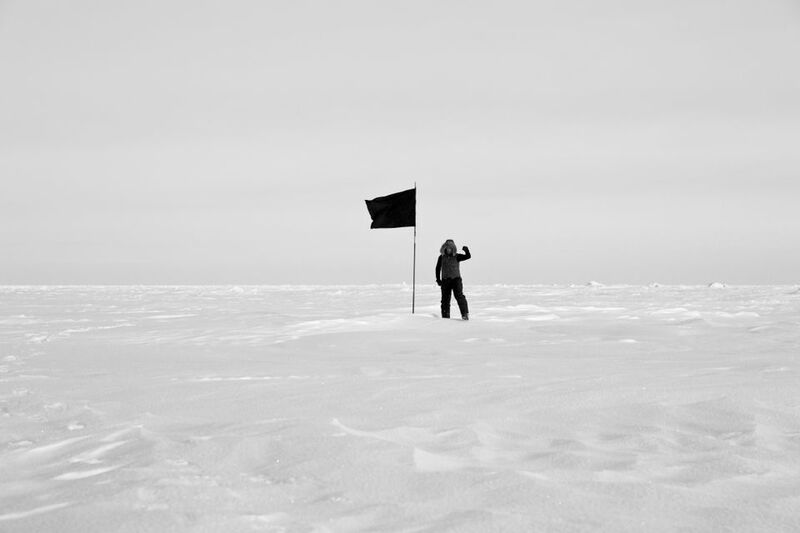 The work touches on issues such as territorial control, how empires are built and sovereignty. But Sierra is adamant that freedom of movement should prevail. “When I cross a border, I feel like I'm going to prison. You leave one farm and enter another. The truth is that I find the idea of a border or a wall vile. We all have the right to go where we please. There are more and more walls and more and more people willing to jump over them. The Mediterranean is a cemetery,” he says. 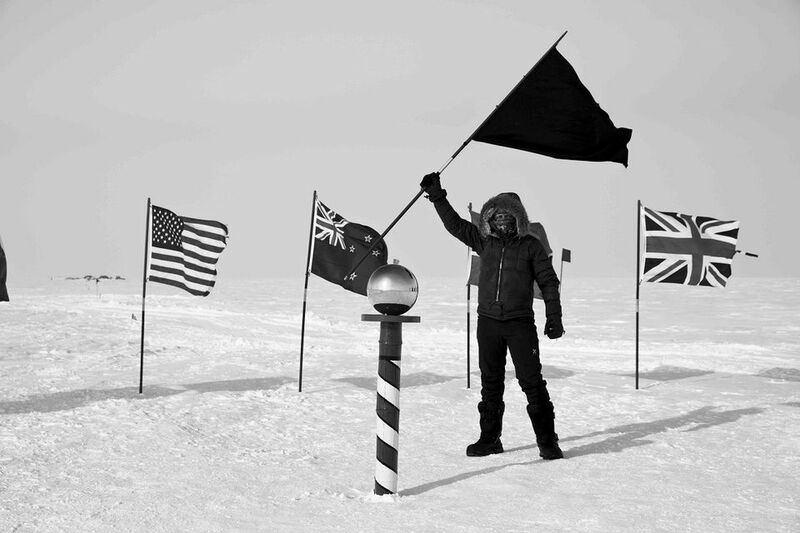 On 14 April 2015, Sierra completed the first part of the Black Flag project at the North Pole (latitude 90º N). 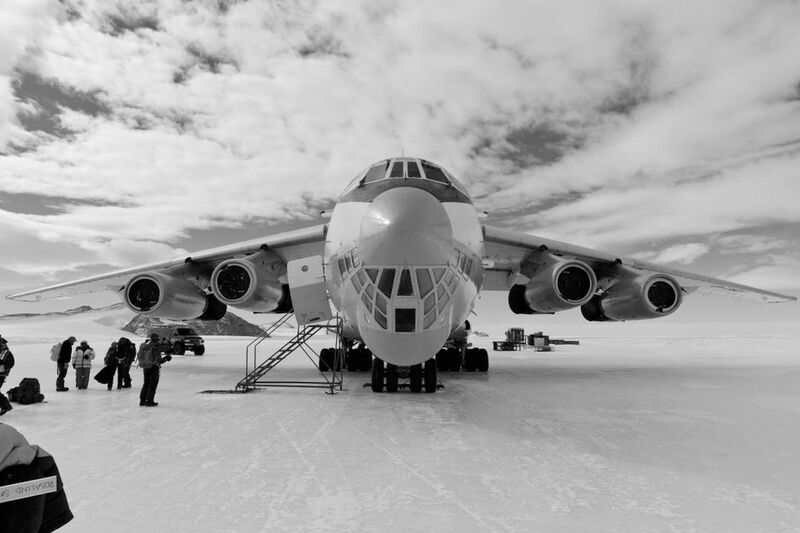 “The expedition travelled from the remote island Svalbard to the kinetic Russian ice base Barneo, using a network of private tourism and logistical support companies to complete the journey,” says a statement from a/political, the London-based non-profit organisation behind the project. The project initially appeared impossible because of the “complexity, cost and subject matter”, Sierra says. 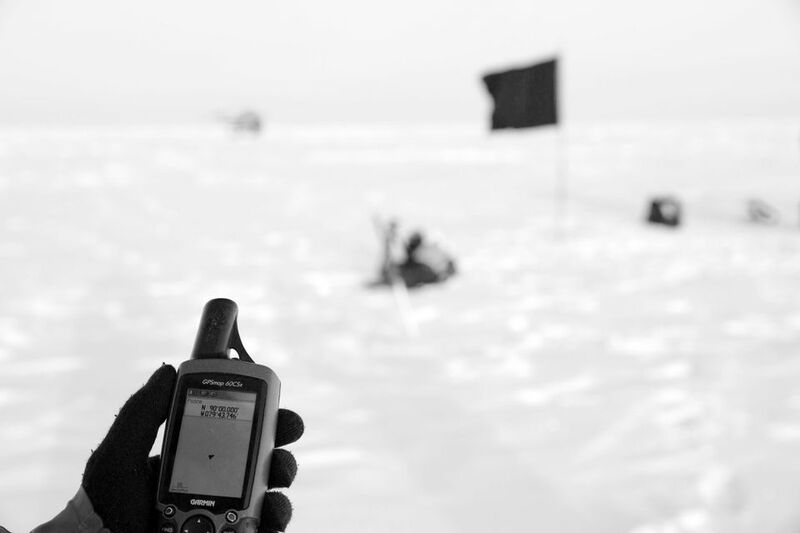 The show resonates with Dundee’s history of polar exploration. The vessel used for the 1901 British Antarctic Expedition (RRS Discovery), which was also led by Falcon Scott, was built in Dundee’s shipyards. Sierra is known for his politically charged works. Earlier this year, he staged a major performance during which the names of individuals who have died in the Syrian civil war were read aloud. The piece, entitled The Names of those Killed in the Syrian Conflict between 15th of March 2011 and 31st of December 2016, took place in four locations including Tel Aviv and Vienna.